The story of Wagnoneer is not the story as it is told for its near twin brethren, the Cherokee Chief. 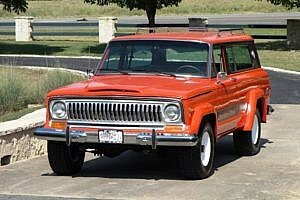 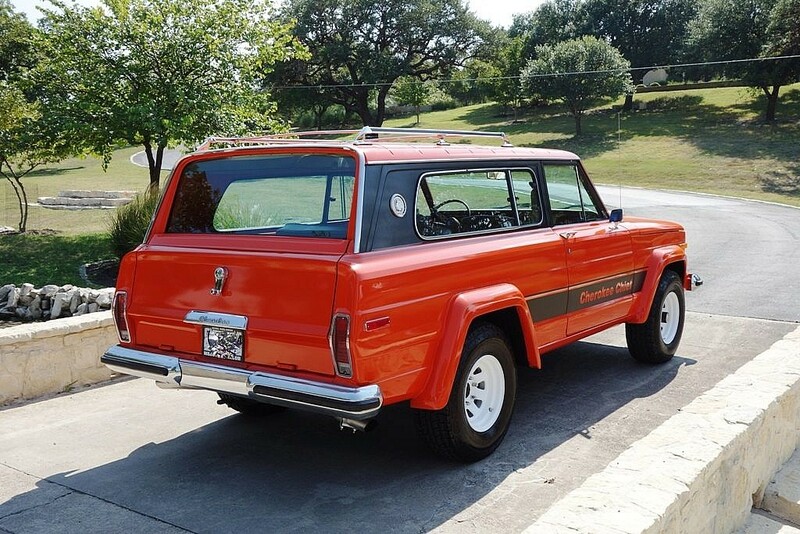 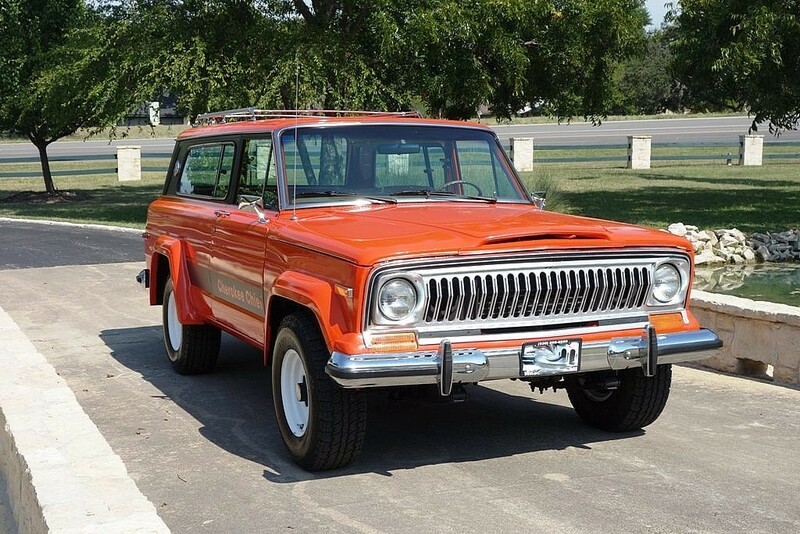 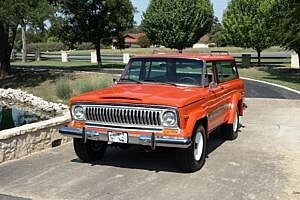 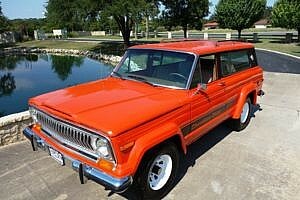 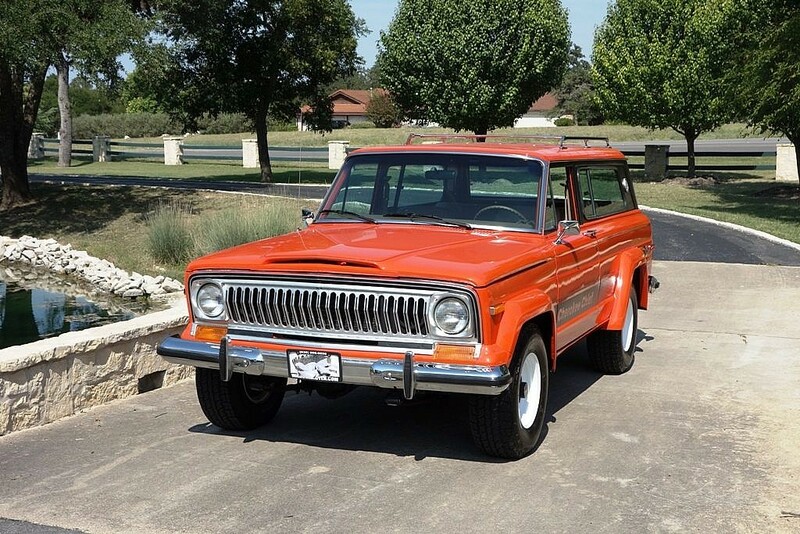 Produced from 1974 through 1983, the full-size Jeep Cherokee (SJ) was AMC’s attempt at reintroducing a two-door model of the prior Wagoneer made from 1963 and 1967. 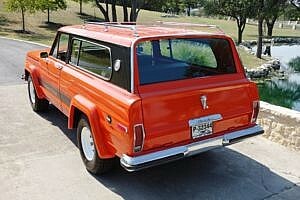 The SJ would be marketed as the sport version of the more luxurious Wagoneer. 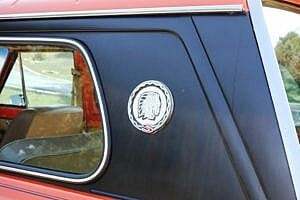 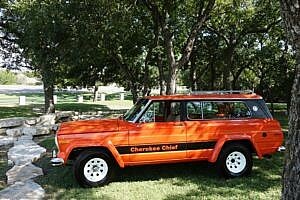 The Cherokee featured a fixed rear window with optional flip-out section, 4-wheel-drive and four different engine options…a 110hp 258ci inline-6, a 2-barrel or 4-barrel 360ci V8 and a ‘what’s this I hear about a gas crisis’ 401ci V8 4-barrel engine good for 215hp. 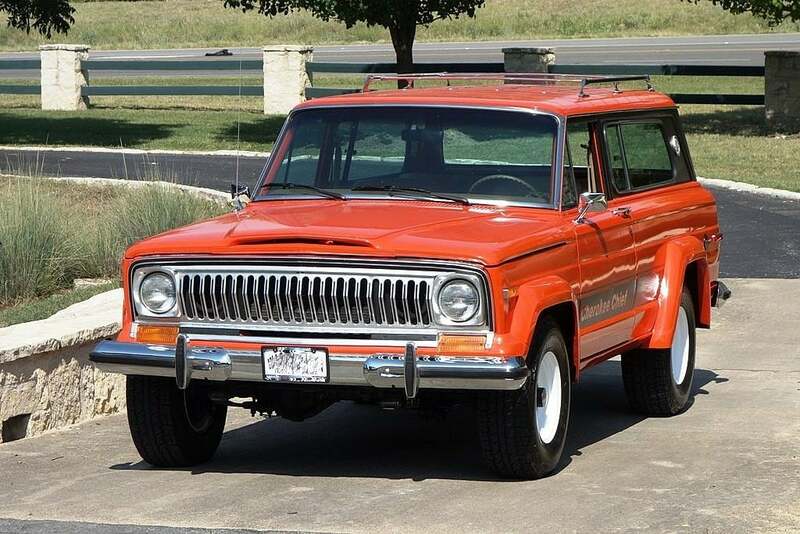 In 1979 the Cherokee would receive a major facelift, and most notably dropped the round headlights in favor of rectangles. 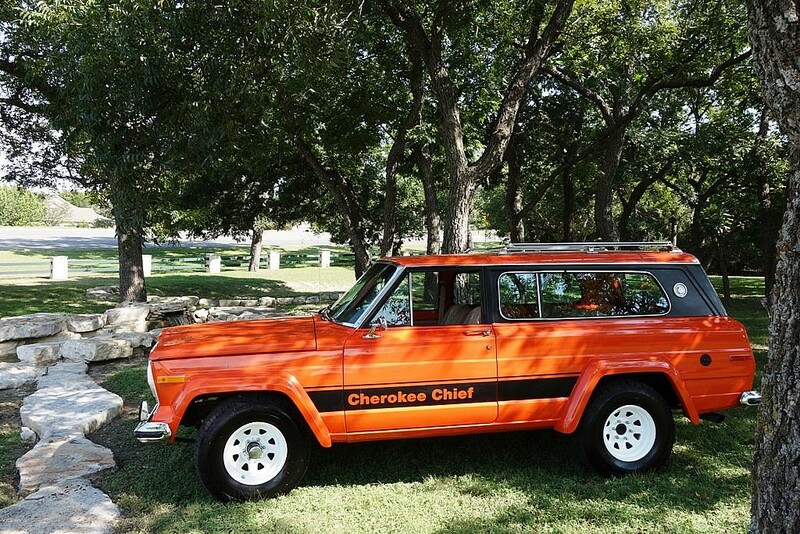 Today we present to you this wide-track 1978 Jeep SJ Cherokee Chief ‘S’, the last incarnation before the aforementioned facelift was handed down. 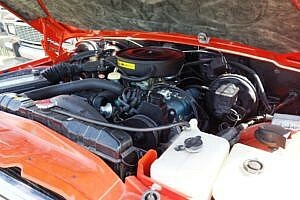 This rare 4-speed 360 Holly 4-barrel V8 was found in a barn in Texas in 2011 with only 5500 miles since new. Purchased from heirs of the original owner, it has the rare factory-ordered 4-speed manual transmission. The current owner had originally sold it to a well-known Texas BBQ magnate who commissioned the restoration of this SJ as it sits now. It was repainted to factory color and presents near new in its eye-catching burnt orange clothing. 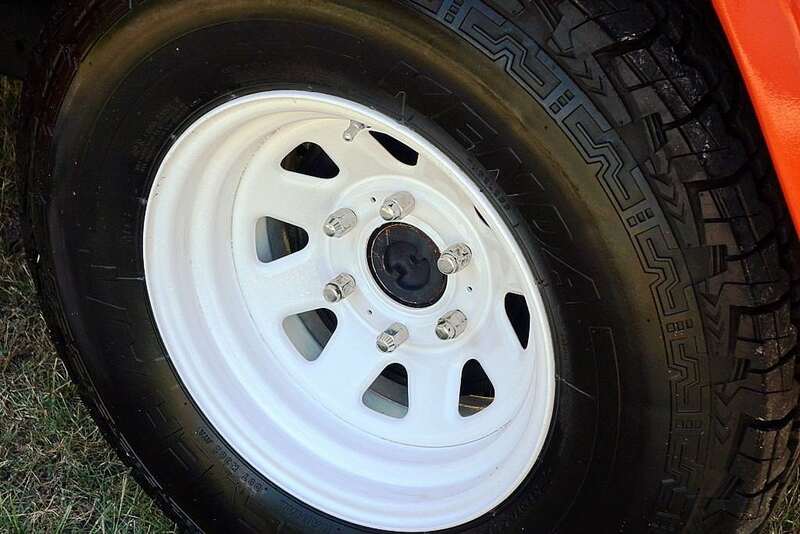 The 8-spoke wheels appear original and are wrapped in Kenda Klever A/T tires with plenty of tread left. 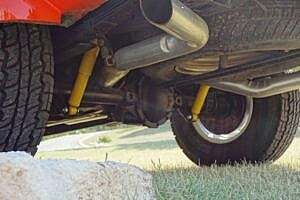 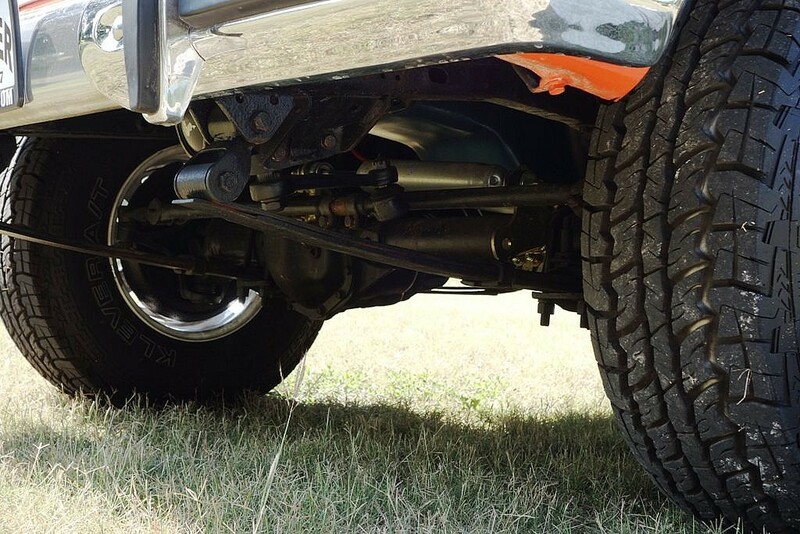 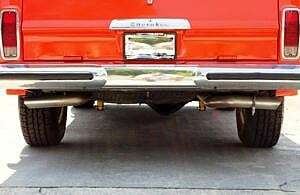 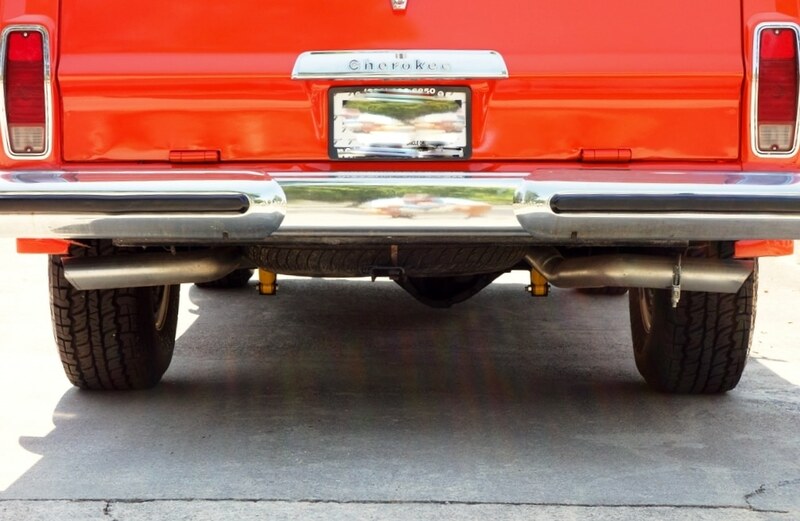 A 3″ dual exhaust was added and tucks neatly under the rear panels on opposing sides of the spare tire. 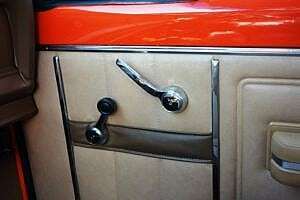 The chrome all appears without any major flaws and presents shiny. 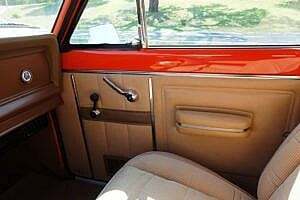 No abnormal gapping of panels is noticeable and no accidents were reported or known to exist. 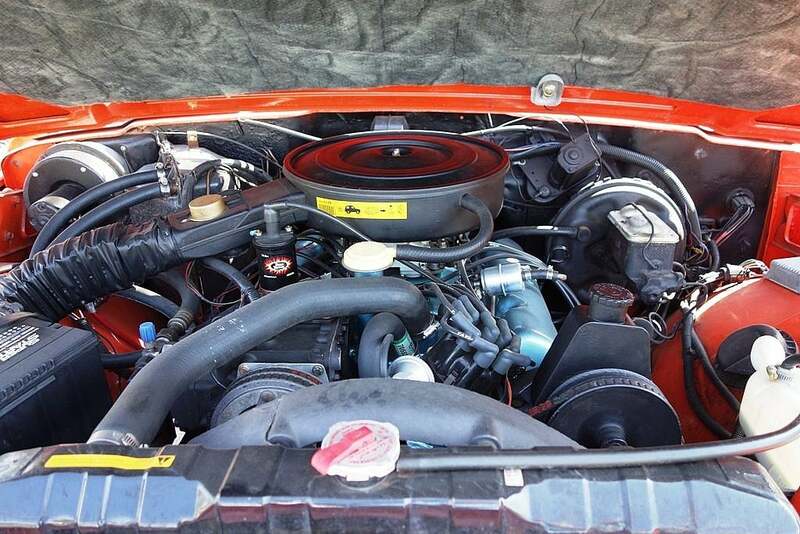 The engine bay is very clean, the sound deadening material is without a flaw, and the 360 V8 was recently given a tune up, drives excellent and has no known issues. It is reported to be and appears to be completely rust free inside and out. The original fitted roof-rack is still intact. 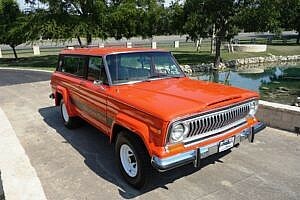 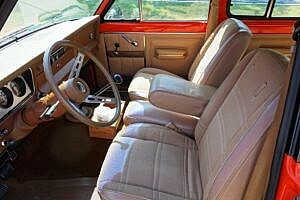 Inside this Cherokee, you forget you are looking at a 40-year old utilitarian 4×4. 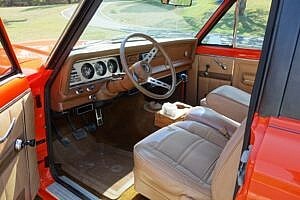 The carpet shows no excessive wear, as do the seats. The seats show no stains or tears, the vinyl and plastics look as new. 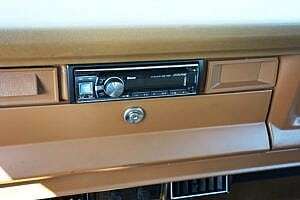 A few small scratches in the dash plastic can be seen under the aftermarket Alpine radio. 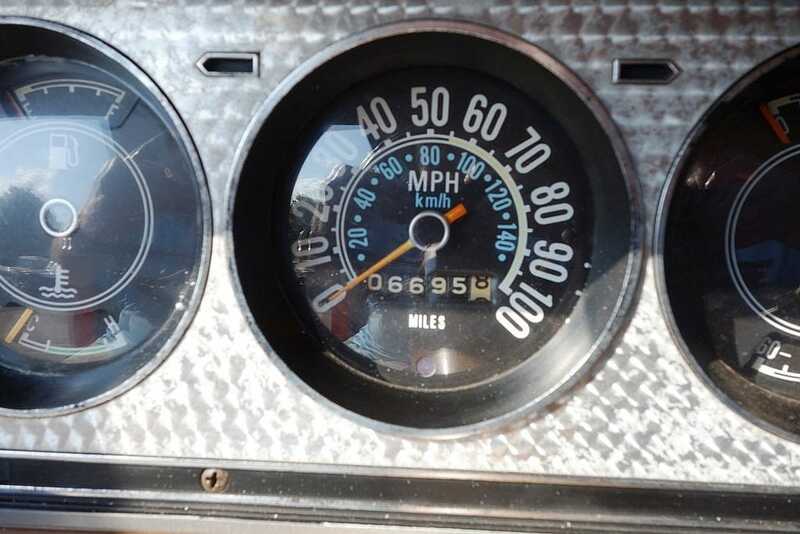 The gauges present nicely and clearly show the 6,695 miles ticked away on the odometer. 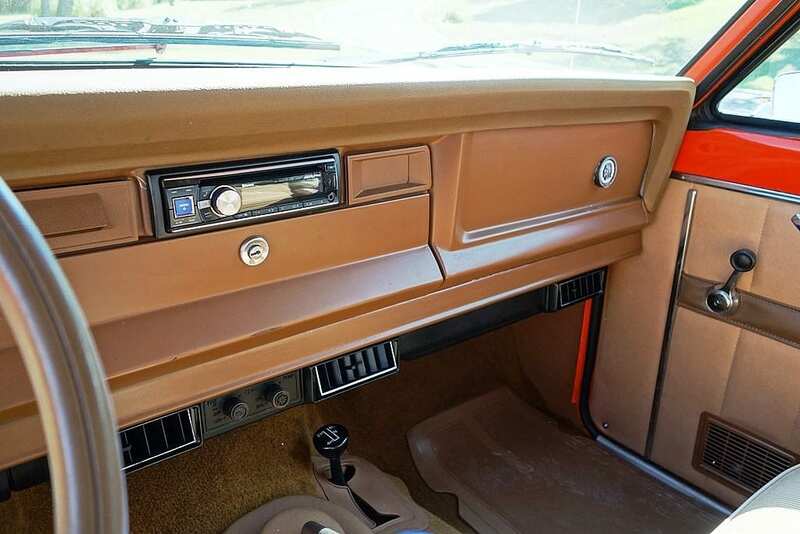 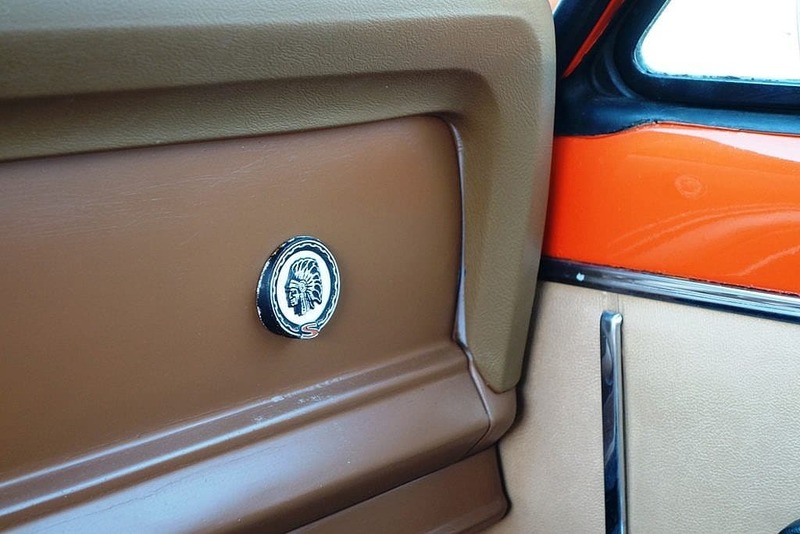 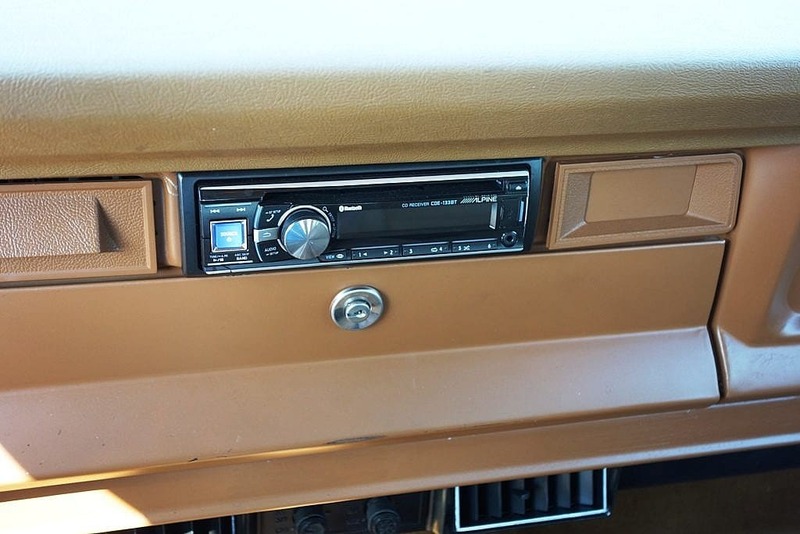 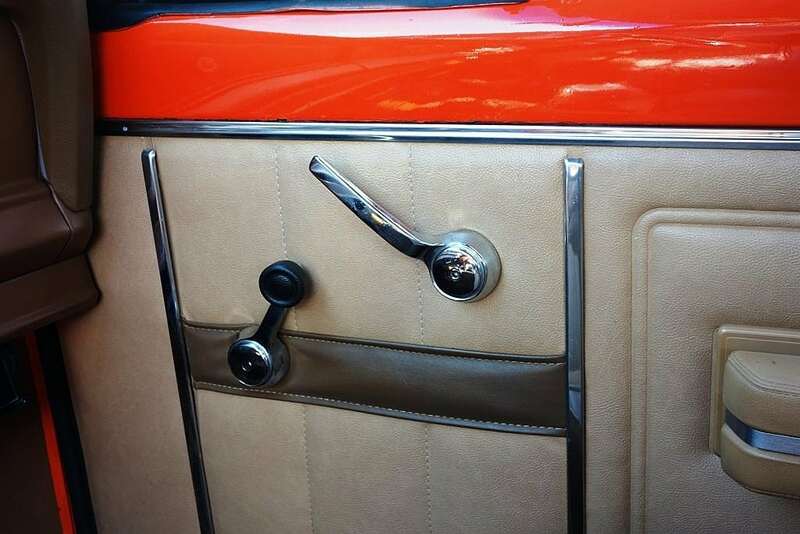 You may have missed that as your eyes were drawn to the matching orange metal trim throughout. 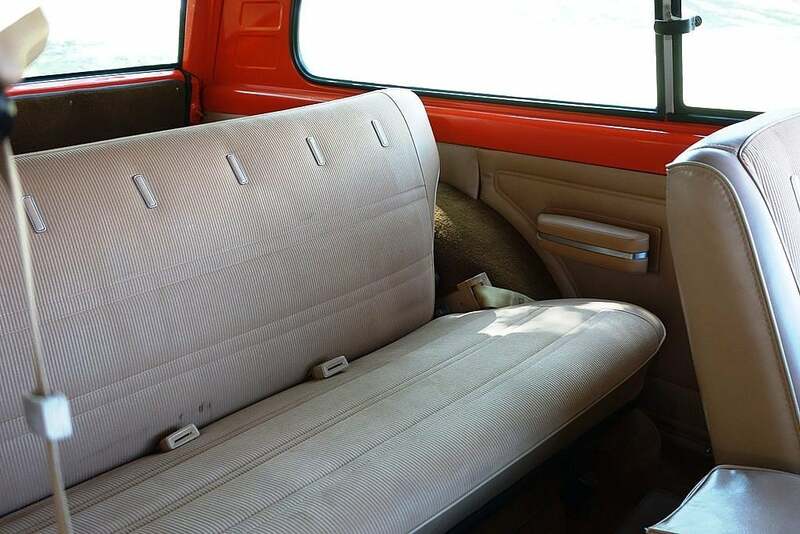 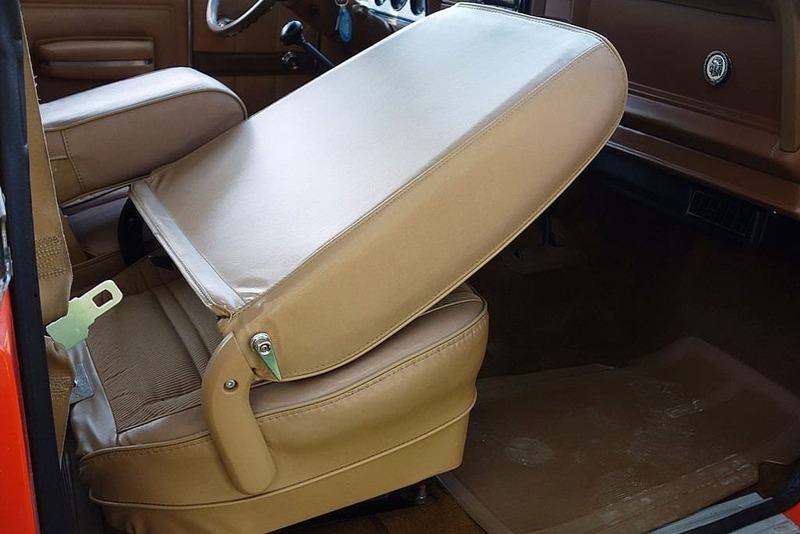 The interior is expansive and can easily accommodate a family, the dog, some fishing gear and picnic supplies. 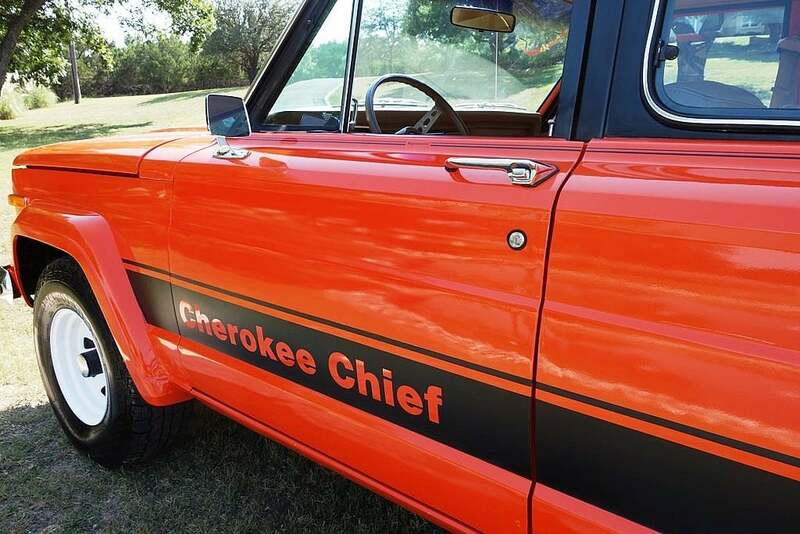 If football tailgating is more your thing…you’re in luck there as well. As with many of the cars we feature, proper valuing is difficult given the rarity of examples going to market, compounded by the wide-range of examples and conditions you may find. 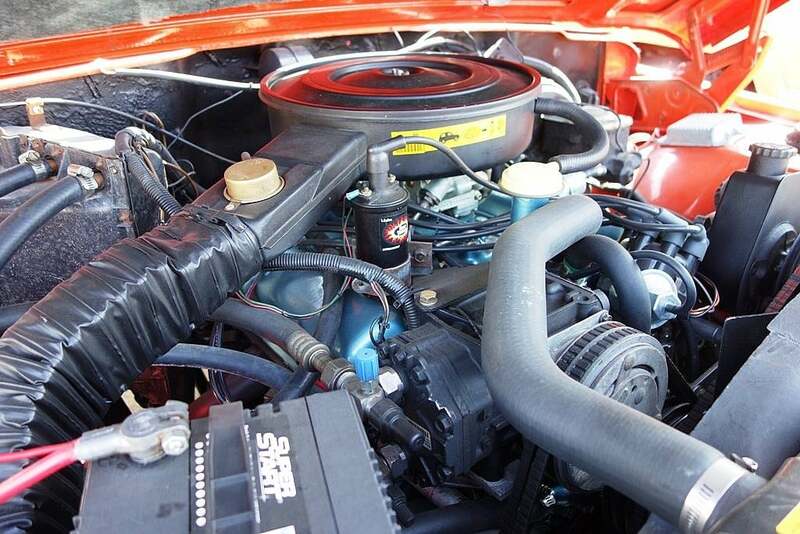 This ’78 Cherokee presents with extremely low mileage and a recent top-notch restoration. 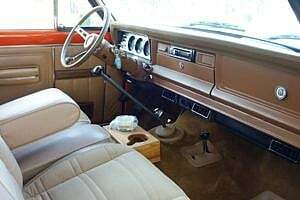 It puts this SJ in a class by itself. 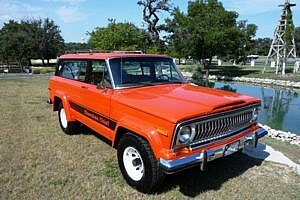 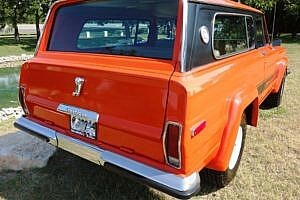 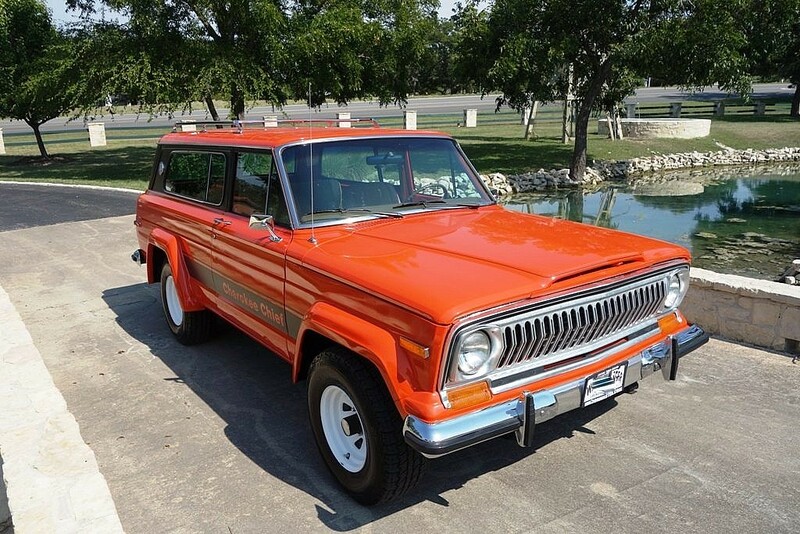 We do have one comparable, sold by the same seller just recently…a 1,150 mile example of a 1979 Wagoneer that sold for $80,000. 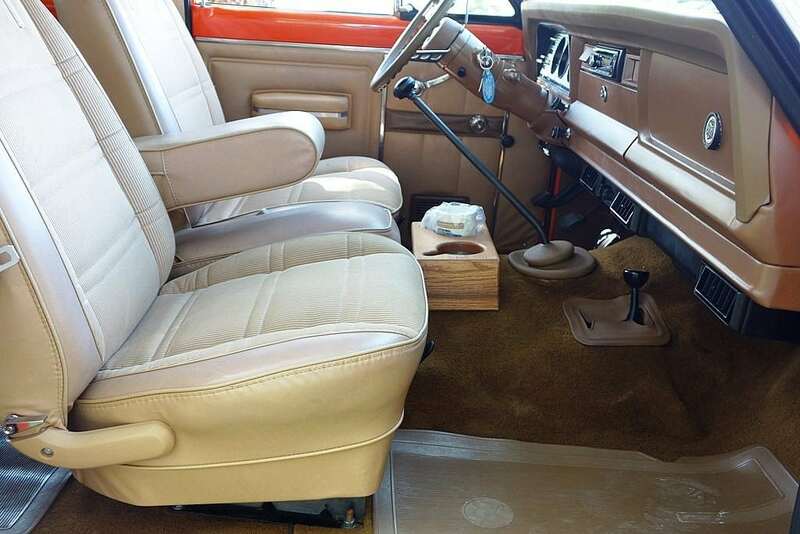 Sold, not asking price. 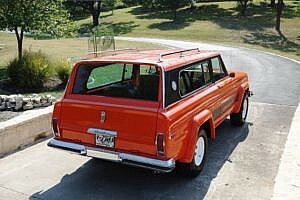 The vintage SUV world is an interesting mix of stripped down utilitarian 4×4’s and emerging luxury production versions. What they all have in common usually is a mix of swiss-cheese of sheet metal holding them together, miss-matched seats, a smell you’d rather forget and 250,000 miles on the clock. 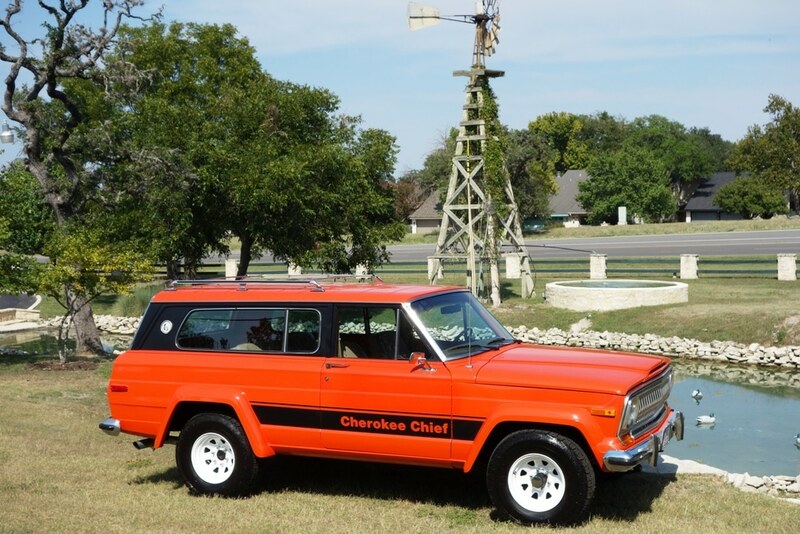 The likelihood is near zero that you’ll ever find another Cherokee with this low of mileage, 100% turn-key and in a highly desirable drivetrain package. If you’ve been thinking about it, now is the time to do it. Please remember that partial proceeds from the sale of this Jeep will benefit the Austin Hatcher Foundation for Pediatric Cancer.